Black barbershops in Los Angeles helped launch a health care trend several years ago that recently reached into a beauty shop in Virginia Beach. Black women at Heart’s Desire Salon and Spa located at 977 Reon Dr. raised their sleeves to receive free blood-pressure and blood-sugar screenings on June 5, like hundreds of men sat in barbershops in Los Angeles in 2009 and rolled up their sleeves to slip on blood pressure cuffs. About 20 women participated in the recent event in Virginia Beach. It was sponsored by the American Diabetes Association, Jen Care Neighborhood Medical Centers, Farm Fresh, Subway, and Sun Trust Foundation. “It was important because many women are walking around with diabetes and do not know it,” said Mark Johnson, vice president and community development manager at Sun Trust for the past five years, who facilitated the health outreach program. The point is to start a new conversation about diabetes. To do so, more screenings should be held in places where women talk a lot. “We plan to go to where people gather and conversations take place,” Johnson said. “We want people to know it is important to have this conversation,” said Johnson who has served on the board of the American Diabetes Association for three years.” He organized a similar health outreach event last year at a Norfolk barbershop. Firm dates and locations have not been finalized, said Avanti Allen-Benson, mission delivery manager for the American Diabetes Association. But upcoming events are planned in July at Mabel’s Barber Shop in Franklin. In August, screenings will be held in Portsmouth at Creations 2 and in Hampton at DJ’s Cut & Curl. This means like free blood pressure screenings were launched in many barbershops in Los Angeles about six years ago by Dr. Ronald Victor, the director of Cedars-Sinai Center for Hypertension. 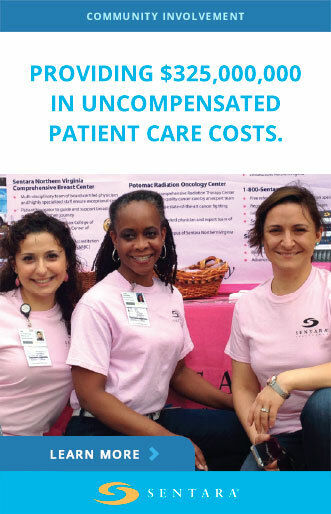 The recent health screenings in Virginia Beach were a type of intervention tactic. In other words, it aimed to start a brand-new conversation where people gather and talk. Launched in barbershops with an $8.5 million grant from the National Institutes of Health, Victor’s landmark intervention program aimed to train Los Angeles barbers to take their customers’ blood pressure. In other words, Victor wanted to move blood pressure testing from the doctor’s office to the barbershop chair. Soon he partnered with Dr. Anthony Reid, a cardiologist in nearby Inglewood. The same logic applies to the recent diabetes tests for women in Virginia Beach, said Dr. Mack Bonner, who attended the event. Bonner has spent more than 40 years treating diabetes in several underserved communities including Harlem Hospital, where he was the former medical director. He was the deputy secretary for the Department of Health in Maryland. He began working in corrections in 1992, retired about a year ago, relocated to Virginia Beach, and joined the American Diabetes Association.